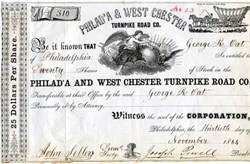 Beautifully engraved certificate from the Philad'a & West Chester Turnpike Road Co. issued in 1864. 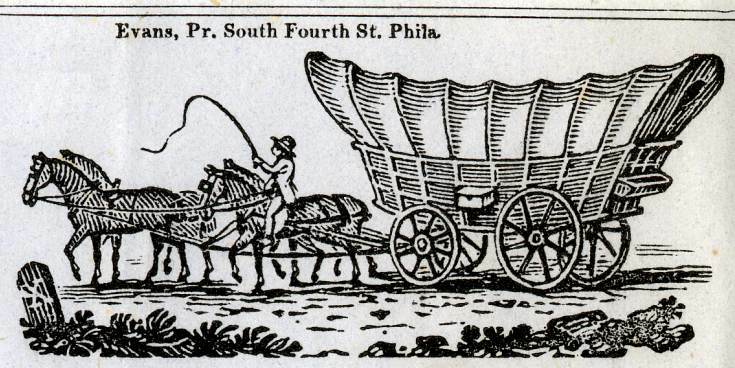 This historic document has an ornate border around it with a vignette of an angelic woman blowing on a horn and a conostoga wagon. This item is hand signed by the Company’s President ( Joseph Powell ) and Treasurer ( John Sellers ) and is over 140 years old.